There are hundreds of people in this photo but for these two, there's only themselves. 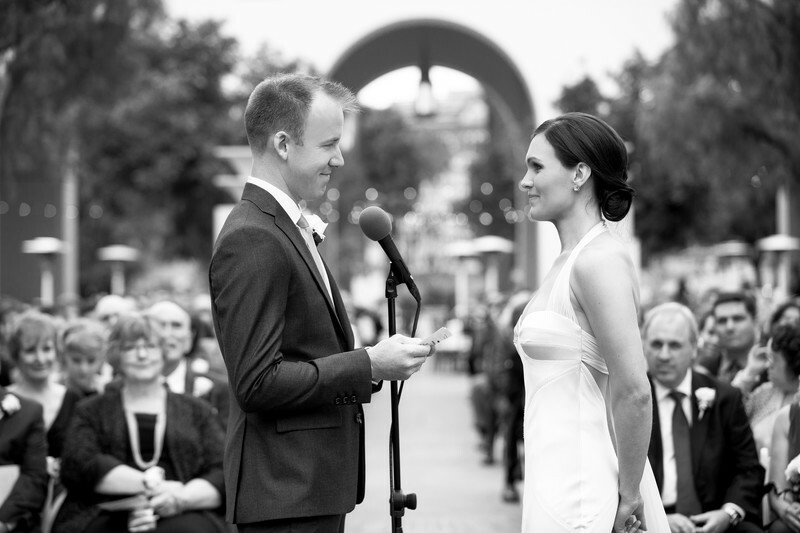 I'm drawn into this image by their expressions and obvious love for eachother as they recite their vows outside L.A.'s Union Station. Location: 800 N Alameda St, Los Angeles, CA 90012.